Daniel Ricciardo echoed Sebastian Vettel’s complaints. FORMULA One has rejected Daniel Ricciardo's suggestion to change the "unfair" system surround the FIA weighbridge incident after Sebastian Vettel's penalty at the Brazilian Grand Prix. The German avoided a grid-place penalty but was given a reprimand and fined nearly $A40,000 for "destroying" the weighbridge after failing to obey instructions when being called in for a random check at the beginning of Q2. Vettel was yet to set a lap time at that point because Ferrari had ordered him to pit and change his tyres, sparking his understandable frustration. 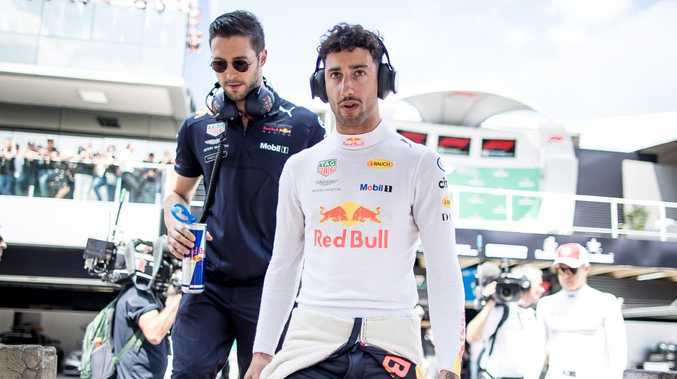 Ricciardo backed his Ferrari rival and described the situation as "unfair", calling on the FIA to change the rules that drivers could be called in only after they had set a lap time. "I think we're going to talk about it probably in Abu Dhabi now, but we might have to try and add something in - like you can only be called if you've set a lap," he said. "I think calling you to the bridge before you've set a lap, they're kind of controlling your qualifying session, which I think is a bit unfair. So from that point of view I will, let's say, sympathise with Seb." However, F1 race director Charlie Whiting hit back at these complaints, saying the teams knew the regulations and should know to work around them. 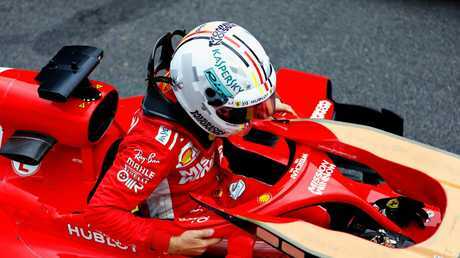 Sebastian Vettel was handed a fine and a reprimand for ‘destroying’ the weighbridge. "There will always be a risk you're going to be stopped," Whiting said. "It's completely random. Jo (Bauer, technical delegate) seldom tries to stop the first car coming in, because in a short qualifying session like that the first car could be coming in with a mechanical problem, having just done half a lap. "To see two cars come in for strategic reasons after one lap is unusual. It's just the way it goes. We'll always have random checks in qualifying."